In the mood for a burger? First, know this: The World Health Organization recently classified red meat as a probable cause of cancer, and the American Heart Association recommends limiting it because it is often high in saturated fat, which could contribute to heart disease. However, the news isn’t all bad. One study found that eating up to 5 ounces of lean beef a day—as part of a heart-healthy diet—may help reduce cholesterol. So don’t toss that steak knife yet! Make these smart moves. 1. YOU SHOULDN’T EAT MORE THAN TWO BURGERS EACH WEEK. Aim for no more than 18 ounces a week (equal to about two restaurant burgers). Ideally you’d eat less than that, so use a step-down program to reach your goal: Gradually slash the amount you eat in half until you hit two 4- to 5-ounce servings per week. Remember that restaurant servings can be quite large—6 to 10 ounces or more—so always check the size on the menu or ask the waiter. And make processed and fatty meats like hot dogs and bacon a rare splurge, no more than twice a month. 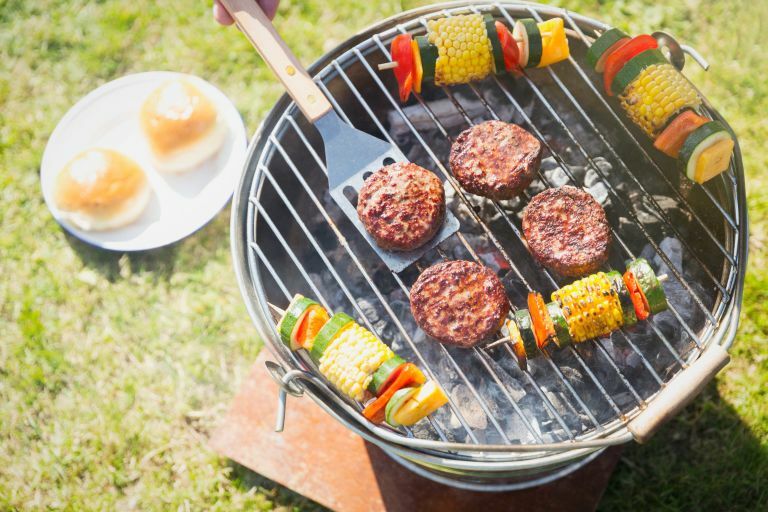 Heating meat at high temps or exposing it directly to a flame or a hot surface can lead to the production of cancer-causing compounds. Frying and oven-broiling are two of the most troublesome cooking techniques, according to research. 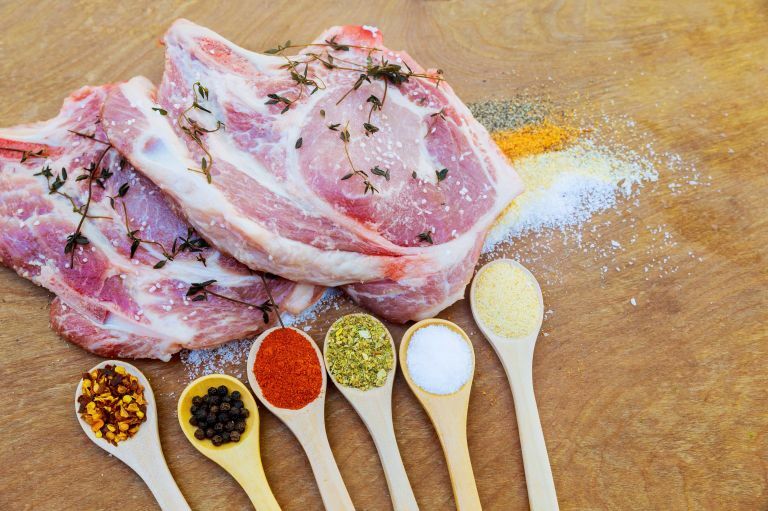 To minimize your risk, marinate your meat before cooking, avoid prolonged cooking, and don’t eat charred pieces. Combine ground beef with lentils, cooked beans, or lean turkey meat (go 50/50). You’ll get the same hearty satisfaction, but save yourself calories, fat, and money. You can use the mix for meatballs, tacos, casseroles, burgers, sloppy joes, and meatloaf. Make your burgers about 3 to 4 ounces each (roughly the size of your palm), and look for ground beef that’s at least 90 percent lean, which you can find at grocery stores. To maintain flavor and juiciness, flip the patties only once and don’t press down on them. When the burger is cooked, pile on vegetables like grilled onions, slaw, and roasted red peppers. Studies suggest that grass-fed beef is healthier than beef from conventionally fed cattle because it contains more omega-3s and certain vitamins. Look for labels that say “100 percent grass-fed” to ensure that the cattle have been given only mother’s milk and grass.